Producing nanoscale structures on solid surfaces in a controlled way is a technologicalchallenge that has an important impact on a variety of fields such as microelectronics, magnetic storagetechnology, and heterogeneous catalysis. Currently most processes are based on a top-down approach,which relies on an active patterning of a surface by, for example, lithography or imprinting. As thedesired structures become smaller these top-down processes will reach the physical limit of their resolution.A bottom-up approach, which is based on a template-controlled growth of nanostructures on a prestructuredsubstrate, can provide access to structural dimensions of only a few nanometers. The challenge forthe growth of such nanostructures on surfaces is to identify and design suitable surfaces, which act astemplates due to their intrinsic physical and chemical properties. 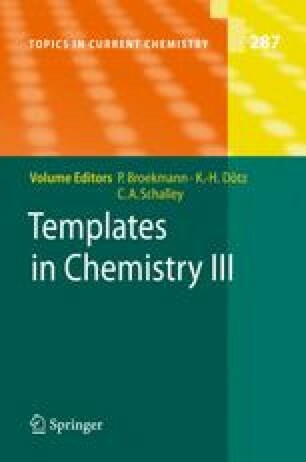 These 2-dimensional (2D) templates canthen be utilized to produce nanostructures of metals, semiconductors, or organic compounds.